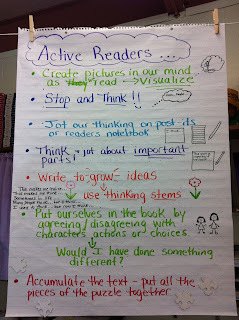 I love to model and teach students different strategies to write about their reading - it is one of my passions! I am a visual learner so I know how important it is to have charts in our classrooms that show our thinking and learning. I also know it is important to explicitly teach students various ways they can keep track of and deepen their thinking in their reader's notebooks as they read. 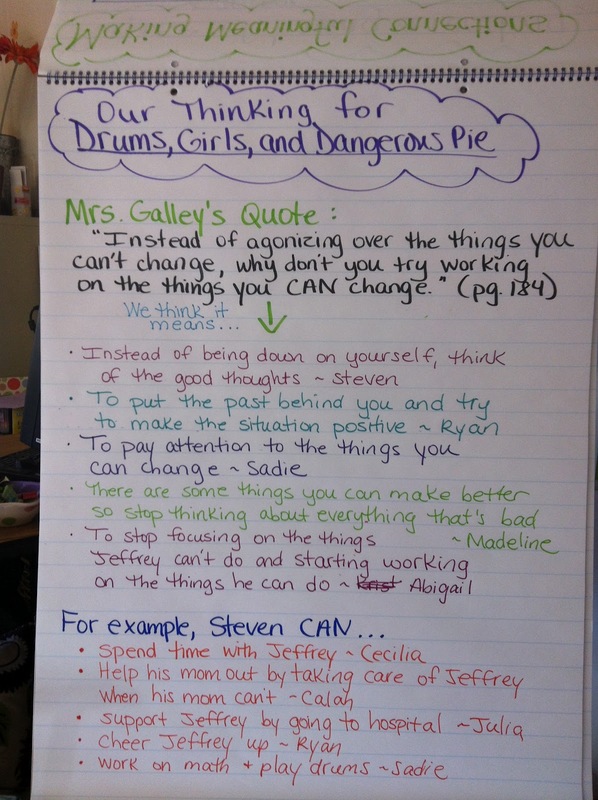 Each day, during read aloud, I model different ways to jot down our thinking on the chart as students jot down their own thinking in their reader's notebooks. As they write in their notebooks, they can use one of the many strategies I have modeled on our charts or create their own strategy to use, which many do! I also have my own reader's notebook that I personalized and use to keep track of my thinking about the books I read. My notebook is set up just like the students' notebooks with three sections: read aloud, independent reading, strategies/reflections. 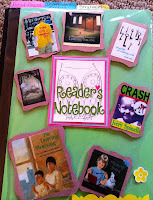 To read more about my thinking about reader's notebooks and how we use them in my classroom, click here to read one of my previous posts about writing about reading. 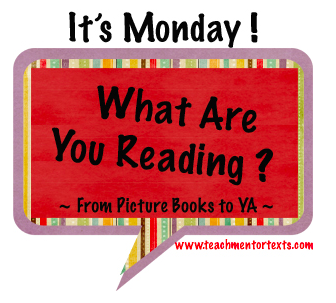 To read more about charts I create during read aloud, click here. I always make sure to honor students' work and strategies they use in their notebooks so we have a bulletin board dedicated for showcasing strategies we are using in our notebooks. Students can hang up examples of their work and write their name and the strategy they used on an index card. I also make time during morning meeting some days for students to share strategies they use with their classmates. This shows students that we can all learn from one another. I encourage students to make their reader's notebooks "their own" and choose which ways they want to keep track of, organize, and deepen their thinking as readers. 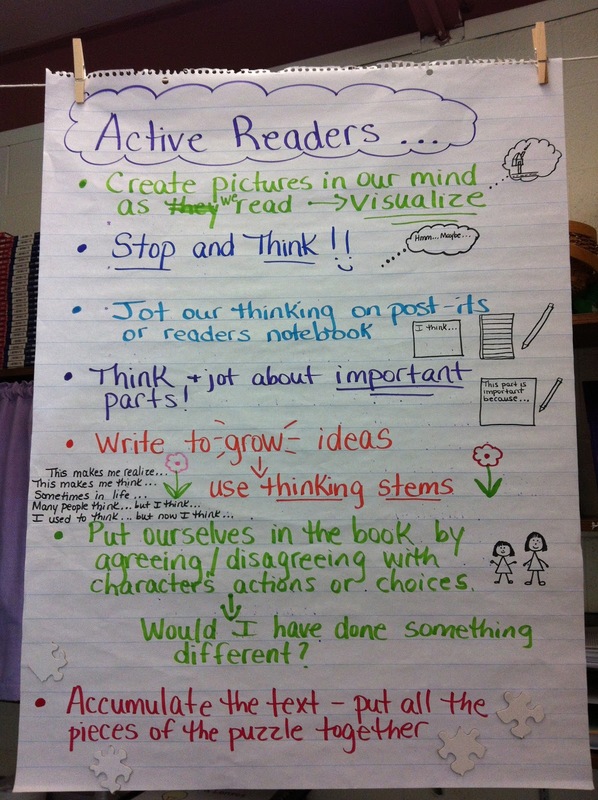 By modeling many strategies for students and encouraging them to create their own ways to write about their reading, it sparks excitement for using the reader's notebook as a real tool! I want students to understand the purpose for writing in their notebooks and not see it as just something they "have" to do. By giving students a choice on how to use their notebooks and time to share their work with class, they want to explore new ways to write about their reading. This week, a couple students started using colored pencils to color code sections and categories of thinking - that sparked an interest in others to begin color-coding and sketching. I loved to watch them share strategies with one another and get excited to try them out! Stay tuned for more photos from their reader's notebooks this week. Please share ways you model writing about reading for your students and how your students use and share their reader's notebooks. CCSS.ELA-Literacy.L.5.2 Demonstrate command of the conventions of standard English capitalization, punctuation, and spelling when writing. CCSS.ELA-Literacy.L.5.2b Use a comma to separate an introductory element from the rest of the sentence. CCSS.ELA-Literacy.L.5.2c Use a comma to set off the words yes and no (e.g., Yes, thank you), to set off a tag question from the rest of the sentence (e.g., It’s true, isn’t it? ), and to indicate direct address (e.g., Is that you, Steve?). 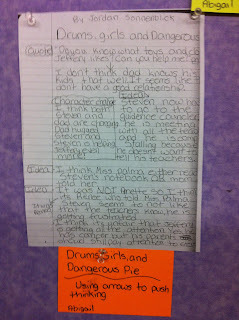 CCSS.ELA-Literacy.L.5.2d Use underlining, quotation marks, or italics to indicate titles of works. While I’m sure that there are several ways to teach end punctuation, I have been reading Janet Angelillo’s A Fresh Approach to Teaching Punctuation and loving the concept of teaching punctuation through an inquiry-based approach. Additionally, one of the teachers I visited this week had created a chart for her students about end punctuation. She created the chart during a mini-lesson, but used it as a reference tool to remind her students of their responsibility to include periods, question marks, and exclamation points. 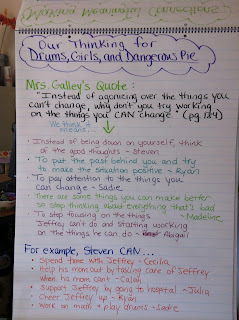 Her students recognize the chart as an important resource for them. 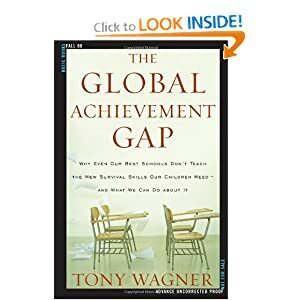 I love Angelillo's statement that it is “better to display sentences from books and ask them (the students) to discuss why each sentence works.” (p. 55) As the district’s writing coordinator, I do not have access to my own classroom to use as a lab, but I do have four daughters and several nephews. Last weekend, we looked at I Want My Hat Back by Jan Classan and debated why there is no question mark used as end punctuation when the author writes “Why would you ask me that.” How could there be no question mark? Isn’t there a rule that when a sentence starts with why, it should have a question mark? How does it change the meaning of what the character is saying because of the end punctuation? Could I use this trick in my own writing and if I do, what would that look like? Such simple text inspired some pretty heavy thinking! “I had no idea this book could be so complicated,” my ten year-old said. This week, instead of sharing books I have read this week, I am going to share a book we have had great conversations about this week in class. 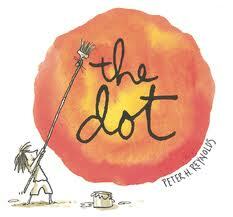 I read aloud The Dot by Peter Reynolds the first week of school and we have been referring to it a lot because it sparked a great conversation about the power of "yet" in our classroom. This book launched our discussion about Growth Mindset vs. Fixed Mindset and that instead of saying, "I'm not good at..." we should say, "I'm not good at...yet." 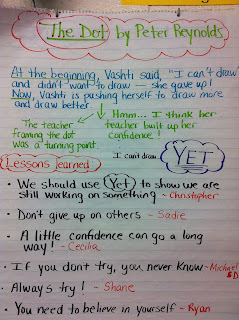 The "YET" shows we are working hard at the skill and have a growth mindset. To read more about the mindset concept and sharing it with students, click here. Students have been working hard to include the word "YET" in their statements and have been referring to characters in our read alouds as having a growth or fixed mindset - it's great to hear them practicing and understanding the concept! Last night, I read some of About Average by Andrew Clements with my ten year-old daughter. She was in the middle of it so she explained the beginning to me and I was hooked right away--so much so that after she went to sleep, I read the book from the beginning to where we left off and then finished it this morning. 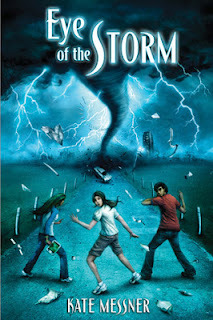 What a great book for middle elementary students! 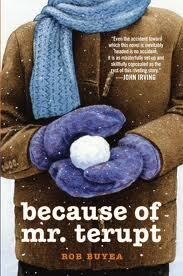 While the main character is in sixth grade, her issues are classic relationship ones for fourth grade and up. The bullying in this book is realistic and could spark some conversations about how we define bullying and relational aggression. Since Jordan's reactions to it are honest and realistic, she offers readers insightful and effective strategies for dealing with the insecurities that so many children feel. Her end-of-the-book success is somewhat extraordinary (okay, even far-fetched) but offers a powerful take-away message for children who see themselves as "average." As a mentor text, About Average also opportunities to teach foreshadowing and parallel plots since the changing weather is an important sub-story. I can envision great discussions about why Clements inserted extra weather-watching characters when students think about how authors use the weather to support the plot. This is a book that would work as a read-aloud since it is short, or as an independent book for a wide range of reading levels. Part of being an active reader, is having conversations about our reading with others and writing about our reading to prepare for conversations. To ensure we make time for these important conversations, we dedicate the last 10 minutes of reading workshop to partner conversations on Mondays, Wednesdays, and Fridays. On Tuesday and Thursdays, we write in our reader's notebook for the last 10 minutes of reading workshop. This schedule not only ensures that students are given time to do this important work as readers, but also makes sure there is a balance between talking and writing about reading. 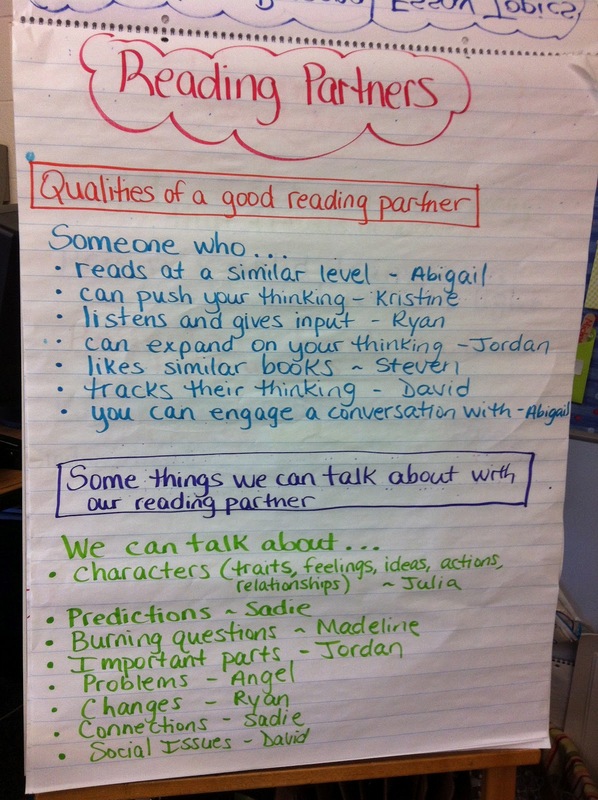 Before students wrote down three possible classmates on an index card they thought would be a good reading partner for them, we talked about the purpose of a reading partner and identified qualities of a good reading partner. I work hard to always make the purpose clear to students about what I am asking them to do as learners so they understand the "why?" behind everything we do in our classroom. 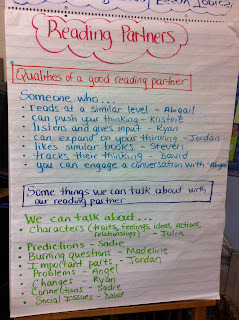 I also think it is important for students to see the connection between their writing about reading and their partner conversations. 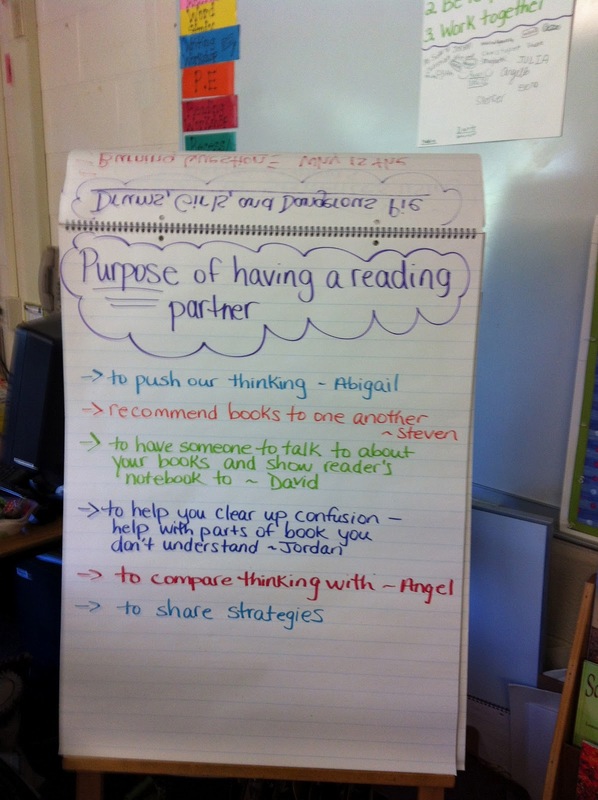 When students gather for a partner conversation, it is expected they will refer to their book and reader's notebook during the conversation and use them as tools to help them have a thoughtful conversation. I am a firm believer that students need to be explicitly taught how to have successful partner conversations, need to have conversations modeled for them, and need opportunities to share what they noticed about the conversations they watched. In my classroom, we refer to these modeled conversations as "fishbowl conversations". The partnership modeling the conversation sits in the middle of the circle on the rug and the rest of us actively observe by watching and listening in to the conversation by making a large circle around them. I let students know that I will be asking them, "What did you notice?" when I pause the conversation, so they need to be ready to respond and share their noticings. This is also a great way for them to learn from one another and also honor their hard work as learners. I'd love to hear your thoughts and ideas about reading partnerships and ways you model conversations with your students. Now, the fun begins. While I still do use Pocket for some of the blogs that I come across, the Evernote Clipper allows me to clip posts and file them into specific notebooks. For example, if I come across a post about generating writing topics (thank you Ruth Ayres! http://twowritingteachers.wordpress.com/2012/09/19/topic-choice/), I can clip it and file it into a notebook that I have designated for writer's notebook collecting. That way, when I want to find a post, I have a much easier time finding it! Unfortunately, the links within the clipped blogs do not work with this system. However, I can cut and paste them and return to the site in order to access the link. All in all, this is a free tool that has been incredibly useful to me for saving and organizing the information that I come across on the internet. I'm sure that there are more ways to use the Web Clipper and for those of you who know some, please share! Happy clipping! 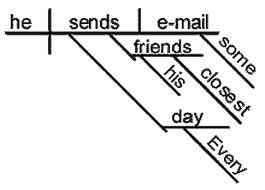 I grew up diagramming sentences. I still have my Warriner's English Grammar and Composition book from high school and I have unsuccessfully tried to teach my daughters how to diagram sentences. They will write with me during the summers and they want my suggestions on their papers, but they draw the line (pun intended) at diagramming sentences. Over the last couple of weeks, I have had several conversations with teachers in our district about how to teach grammar and punctuation to students. Some of these conversations have been driven by our districts standardized assessment scores; the Connecticut Mastery Test includes editing and revising strands and our district did not perform as strongly on the editing portion of the test as we did on the rest of the test. 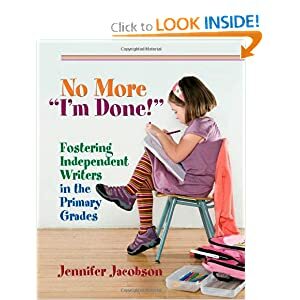 Other conversations have started because teachers find that many students don't include basic punctuation-- capital letters, periods, question marks-- in their writing drafts, even though we know that they have had prior instruction on these skills. Additionally, teachers are lamenting that students write in incomplete sentences with very little regard to parts speech, word variation, or sentence complexity. CCSS.ELA-Literacy.L.5.1a Explain the function of conjunctions, prepositions, and interjections in general and their function in particular sentences. Between these conversations and the fact that the Common Core specifically addresses grammar, conventions, and punctuation, I have been reading and thinking a lot about how to inspire students to retain and use what we teach about grammar and punctuation. One of my new favorite books is Janet Angelillo's Grammar Study because I love her approach to teaching grammar through units of study and mentor texts. She believes that the purpose of grammar units should be “to introduce them to the fact that grammar makes language work and to make them curious about how it works.” (p. 23) Moving along, she also gives specific and explicit ideas for incorporating grammar into units of study. One of her ideas include choosing mentor texts that are good examples of the genre with the grammatical structures that you plan to teach. Her book is full of ideas for mini-lessons that are designed to inspire inquiry-based learning and curiosity. Instead of teaching from worksheets that contain sentence fragments, have students create charts of fragments from mentor texts and talk about why the author chose not to use a complete sentence. I'd love to see some of the scripts of those discussions. To specifically address the content standards cited above, what about creating charts that show how an author uses interjections in sentences? Then, brainstorm ideas about what those interjections add to the piece of writing. I'm looking for ways that others are integrating punctuation and grammar into their daily practices and writing workshops. Please feel free to share in the comments! 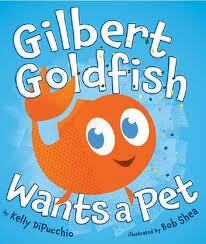 I loved reading Gilbert Goldfish Wants a Pet by Kelly DiPucchio! It is a perfect companion text to read along with Not Norman: A Goldfish Story by Kelly Bennett, which I also love and read during our character unit to model and discuss character change in texts. 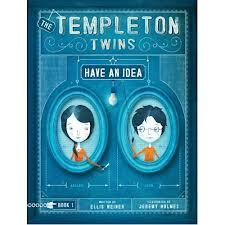 I also envision many ways I can use it as a mentor text in writing workshop. I look forward to reading this text aloud to my students soon! Click this link to watch the Gilbert Goldfish Wants a Pet Book Trailer on YouTube. 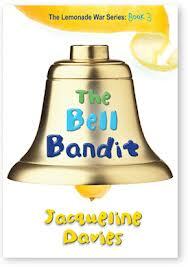 I have read and enjoyed the Lemonade War series by Jacqueline Davies so I was excited to read the third book in the series, The Bell Bandit, this weekend. I usually tend to like the first book in a series better than all the rest, but not in this case. I actually like this book better than the first two. I know students will love reading it and trying to solve the mystery of the missing bell right along with the characters. This book is more of a mystery adventure and leaves the reader in a bit of suspense till the end. Enjoy! I have been reading professional books and blogs more than anything else since the start of school and I have two shout outs to give for important posts to me last week. One shout out goes to Sarah Broas at a littlebitofliteracy.blogspot.com. She wrote a powerful post (follow the link if you'd like to read the whole post) about why she believes so passionately about workshop teaching. She writes, "Reading and Writing workshop is a skeleton. The teachers, the students, and the learning experiences breathe life into the structure to make it come alive. I value students. I value teachers. I value relationships. I value learning. I believe the structure behind Reading and Writing Workshop fosters the joy of literacy and supports teachers and students through our life-long journeys." The rest of her post is well worth your time to read. Another post that has stayed with me was Stacy Shubitz's post about craft tables. Actually, she wrote a three part series and shared charts for several books. I loved the ideas her graduate students came up with for using Happy Like Soccer as a mentor text and I was inspired to begin my own craft tables for I'm Not by Pam Smallcomb, I Want My Hat Back by Jan Klassan, and Nothing To Do by Douglas Wood. I am using Stacy's tables as mentors and I think that they are a powerful way to help teachers use mentor texts in their classrooms. 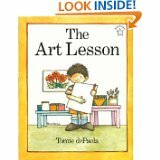 Finally, I am working on a mentor interpretive essay for our new fifth grade unit and I am using Tomie dePaola's The Art Lesson as a text to reference. His character, Tommy, has some strong feelings about creativity and what it means to be an artist and his desire for self-expression shines through throughout this book. My essay will emphasize how sometimes our realities don't meet our expectations and we have to advocate for ourselves and our beliefs. While the number of apps available to us seems to be increasingly infinite (oxymoron intended), the number of apps that we use on a regular basis is finite. Therefore, we are adjusting Thursday a bit. While in the past, we have written about specific apps, we are going to have Thursdays be technology-oriented and not just focused on apps. One way that we have found to teach students to ask questions is to model asking questions; Wonderopolis is a great forum for doing this. The National Center for Family Literacy is responsible for Wonderopolis.org and describes it as "a place where parents can seek and nurture a brighter world for their children through the power of discovery, creativity, learning, and imagination." That being said, many of the comments about today's wonder, What Can You Make in a Slow Cooker?, were from classrooms and yesterday's wonder, How Does Technology Change Lives?, has significant relevance to education. The video that accompanies Wonder #710 could inspire innovators and inventors and is completely worth the two minutes! Other examples of questions to ponder are Why Do Some Things Rust?, Why Was Morse Code Invented?, How Many Different Ways Can You Read? and many more. (704 more, as of today...) While some questions have the potential to inspire deeper conversations, almost every wonder I have read has kept me reading. Melanie Swider has instituted "Wonder Wednesday" in her fifth grade classroom and her morning meetings include lively discussions of Wonderopolis questions. 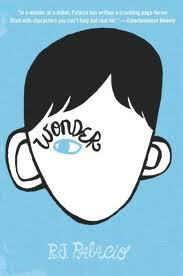 Additionally, if you are on twitter, there is a #WonderChat hashtag. Reading through the comments had my whole family wondering, hypothesizing, researching, and laughing. I'm sure it would inspire the same in your classrooms. How are others using Wonderopolis in classrooms? Please share your experiences! What Topics are in your Writer's Backpack? 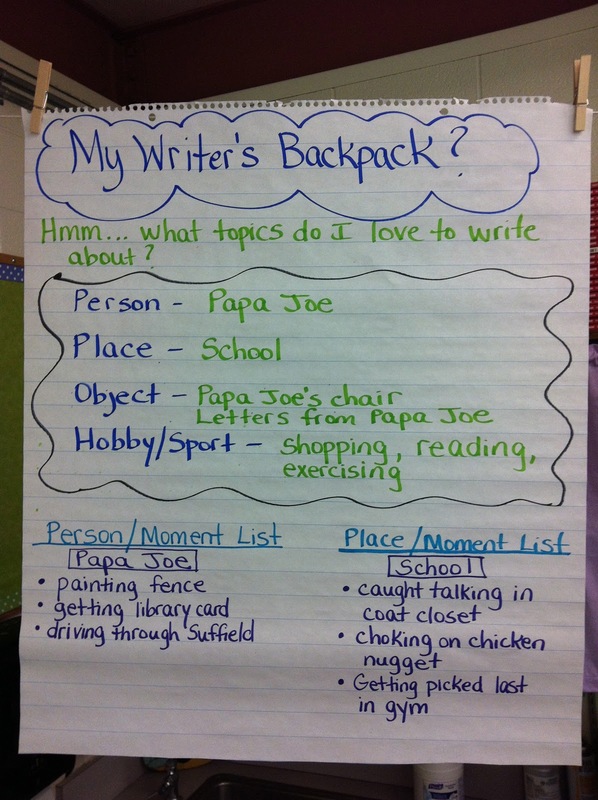 Each year, I teach my students that writer's have a backpack of "go-to" topics that they love to write about. I teach them that we usually have a person, place, hobby/sport, object, and idea/opinion that we feel passionate about and write about a lot! Donald Murray called these topics our "Writing Territories." In the past, I have always taught this lesson and strategy mid-year and do not know why I waited so long. This year, it was my first mini-lesson in writing workshop and it was a great way to launch right into our writer's notebooks and the list strategy writer's use to generate ideas. I made my "backpack" on the chart paper and modeled what topics I find myself writing about over and over again. I modeled thinking aloud why I am passionate about the topics as I created my backpack. For active engagement, students turned and talked with their partner to list the topics inside their own backpack's and then wrote them down in their notebooks. Throughout the week, I modeled using the list strategy to generate ideas and we took one topic from our backpack and made bulleted lists of small moments for the topic. 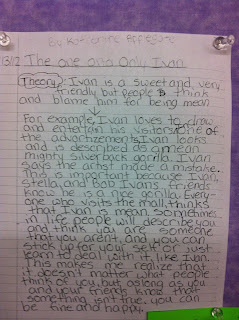 Then students starred one moment to write an entry about in their writer's notebook. By the end of the week, students knew which topics they love to write about and had a variety of entries written about them. 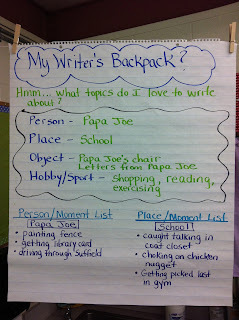 This week, we are using our "Writer's Backpack" to generate ideas for Personal Essay. This year, we are launching our year with Personal Essay instead of Personal Narrative. I modeled using my "backpack" of topics to think about, "What ideas do I have about this person, place, or hobby/sport?" Then chose one idea to write an entry about, proving that idea with my small moments and examples. By having students identify their "Writer's Backpack" or "Territory" of topics they love to write about, it minimizes the amount of writer's block comments we hear from students such as, "I have nothing to write about!" I'd love to hear how you help students identify and use their "Backpack" or "Territory" of topics and what you call them so please share your ideas and thoughts. One of my favorite times of the year, in writing workshop, is launching writer's notebooks with the students the first week of school. I love sharing my own writer's notebook to help generate excitement within the students to personalize their notebooks and start writing in them right away. This year, one of my goals as a writing teacher is to make more of an effort to pause and celebrate process writing more often. Each year, I have multiple writing celebrations for my students and invite parents to some of them...but I realized this summer that they almost always focus on published pieces at the end of units of study. I want students to share and celebrate all the hard work they do as writers throughout the process, including all the generating and developing work they do in their writer's notebooks. This year, I am going to continue to host writing celebrations, but make sure that some of them are during the unit of study so we can celebrate the process writing. Last week, we had our first celebration in class to share the work we are doing in our writer's notebooks. 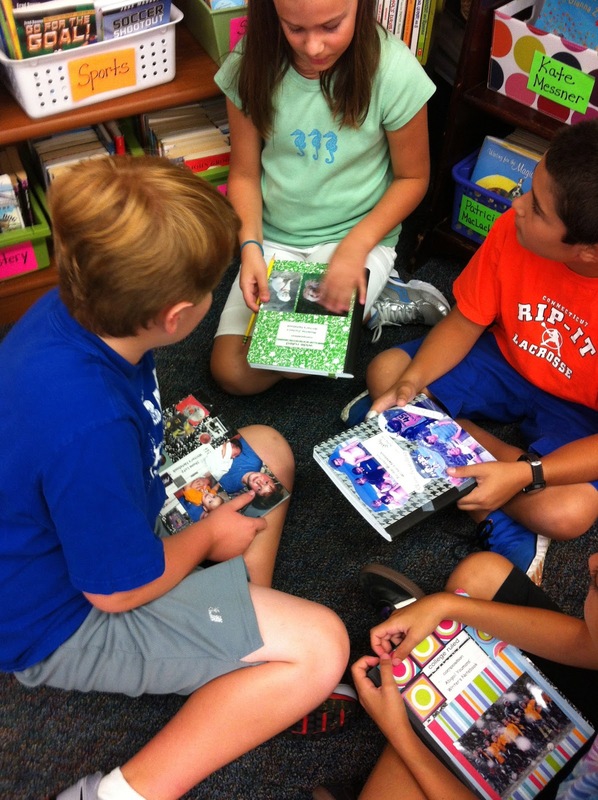 Students first met in small groups to share their personalized notebooks and "talk off" of the photos they chose to include on the covers. After sharing their important stories and moments from the photos with one another, we had our Writer's Notebook Gallery. For this, students had their writer's notebooks opened up on their tables to entries they were most proud of and wanted to share with their classmates. While listening to soft music, students moved from table to table reading one another's entries. After about 10 -15 minutes, we gathered back together as a class to honor classmates and to share new ideas that were sparked by a classmates' writing. I am going to continue to carve out time throughout the year for students to share their process writing with more people, instead of only their writing partners or posting on our writing bulletin board. I would love to hear other ways your students celebrate their process writing throughout the year with classmates, parents, or other readers. I would also love to hear your thoughts on celebrating process writing more often instead of focusing on published writing at celebrations. 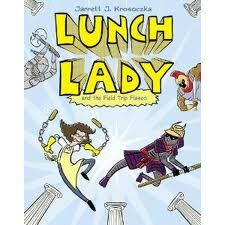 They love all the Lunch Lady books! The kids can't wait for tomorrow when book #8 comes out!! 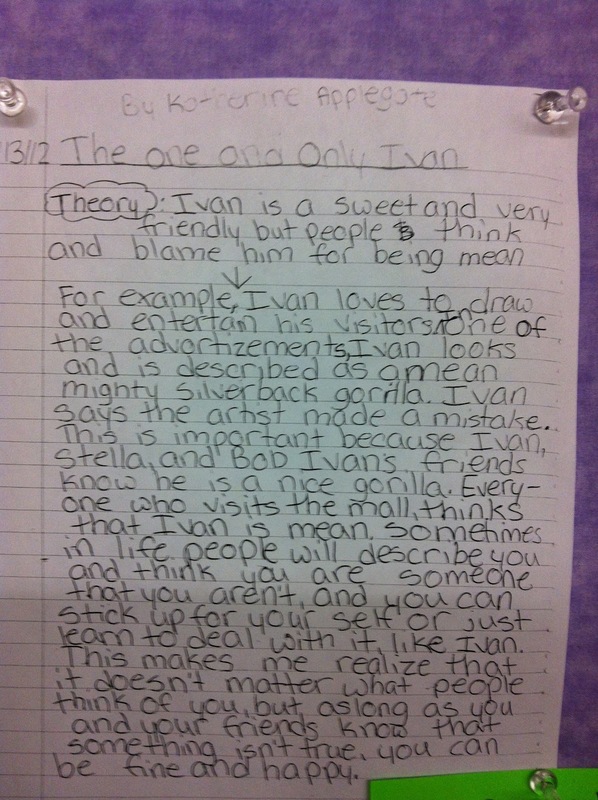 They have all fallen in love with Ivan! They love how funny the narrator is! They were so excited to hear that the sequel comes out October 9th! There are many more books the kids have been reading and loving! They are so excited that we have LOTS of books to choose from in our classroom library and are adding to their TBR stacks each day - I love it! I am working hard to learn more about writing instruction in the early primary grades so I have asked some of our kindergarten and first-grade teachers what their favorite professional books are and over the weekend, I did some reading. Thank you to Marcia Gibbs for No More "I'm Done!" by Jennifer Jacobson. This book is full of practical ideas and suggestions for managing the writing workshop in primary classrooms. Jennifer Jacobson offers many ideas for management, language, mentor texts, and instructional strategies. She shares subtle changes such as asking "what is happening in your picture?" 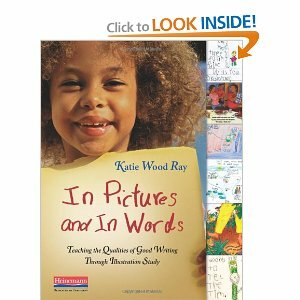 instead of "tell me about your picture", explaining that the former gets students to "respond to this question by telling a story, and that can give them the confidence to begin recording text" (p. 40). An entire chapter is devoted to trait-specific mini-lessons that cite specific mentor texts and address traits of writing including focus, fluency, voice, and elaboration with additional suggestion and ideas for conventions. Just reading her lessons make me want to dig out my copies of some of the books and do some of the inquiry based work she describes! I loved Jennifer Jacobson's final words which are: Initiative, motivation, and self-esteem. Wouldn't it be great if every young student emerged from their writing classroom equipped with these three qualities? I am a recreational writer and I have several writer's notebooks that I have kept and filled over the years. My notebooks are progressively more and more organized and my latest one could be my organizational masterpiece--we'll see. While I'm not sure that my later notebooks contain higher quality writing, I will say that it is much easier for me to find my work and so I continue to strive to develop systems that work for me. a table of contents- leave a few pages at the beginning of the notebook for recording what will be in there. My daughters have many notebooks that they have kept over the years and I wish there was an easy to find list of notebook contents. an entry section- This could be thought of as an exploring section, a place to write a page or so off of an idea to see if it could develop into a bigger piece of work. I also use this section in my notebook to write about my characters--not necessarily the words that go into my book, but the words that help me know my characters and write about them more authentically. I am spending time talking to teachers about their practices and responses vary. Some teachers help students organize their notebooks around the units of study that they study throughout the year. Other teachers choose to have students maintain their notebooks chronologically, regardless of the type of writing. I talked to some teachers who have students tab specific collections, such as quotes, favorite lines, or free-writes. I'd love to hear about how teachers at various grade levels are approaching notebook organization. Please share some of your thoughts and practices! Happy writing! One of the apps/programs that I have been using on a daily basis in order to organize my life and remember what I need to do is Evernote. The more that I use it, the more I am addicted to it. Evernote is classified as a productivity app and it offers several features that I use in order to make note-taking and record keeping easier. For example, I can record and take pictures within the program. Just today, I took a picture of a whiteboard that I wanted to remember and put it into the notes that I was taking during a meeting. One of the teachers I met with today shared that she likes to record students as they read and we agreed that Evernote would be a great way to document and record progress. I can access Evernote through an app on my iPad, as well as through the internet via evernote.com. All of my information is password protected so I can access it through any device that has internet access. I find moving files and creating new notebooks to be easier from my desktop, although I use my iPad to create new notes several times a day. I have customized notebooks for the different parts of my life. For example, I have a folder for my meetings with my supervisor and I can keep track of all that I need to do for her. Last night, we were tweeting about how some teachers are using Evernote for record-keeping and conferring, creating notebooks for each student; they are finding this to be really effective. Evernote clipper, which is a feature of Evernote that I installed on my computer's toolbar, lets me copy an Internet page and "file" it within that folder. If I come across a post or an article that relates to conferring, I clip it and select my conferring notebook for storing it. I'm finding this to be so much easier than printing and filing or bookmarking pages! I am beginning to explore the Evernote trunk and would love to hear about how others are syncing areas of their Evernote lives. This is a free app and website that seems to have endless possibilities! Because I have started a new position within our district as the Writing and Social Studies Coordinator, I have been doing a lot of professional reading. 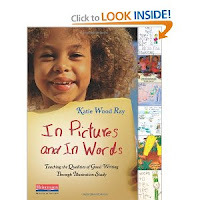 I do not have as much experience with younger grades so two of the books that have been especially helpful are In Pictures and In Words by Katie Wood Ray and First Grade Writers by Stephanie Parsons. I love the strength of Katie Wood Ray's voice throughout In Pictures and In Words. She weaves in her own personal experiences as a writer while infusing practical advice for developing young story- tellers. I have marked many pages to share with kindergarten teachers and to return to in order to develop my own understanding of how to implement workshop teaching in kindergarten classrooms. After the initial section where Ray describes the basic premises of illustration study, she describes fifty illustration techniques with specific examples, understandings, and writing connections. It is definitely a helpful resource for kindergarten teachers since it offers many examples of student work and ways to inspire young writers to develop the artwork that supports their developing writing. First Grade Writers is another book that I will revisit many times. It is full of practical teaching advice for workshop teachers of young students, offering possible teaching points, routines, predictable problems and solutions, assessment techniques, and suggested mentor texts. I love that this book captures the importance of writing workshop in developing young writers, but acknowledges the challenges and offers solutions. It is organized in terms of specific units and I will be sharing it with teachers as really helpful planning guide. I have many more professional books on my TBR pile for the next couple of weeks. If anyone has a favorite professional book on writing, please share! Happy reading!